WHAT IS MEDUSACARD AND HOW DOES IT WORK? 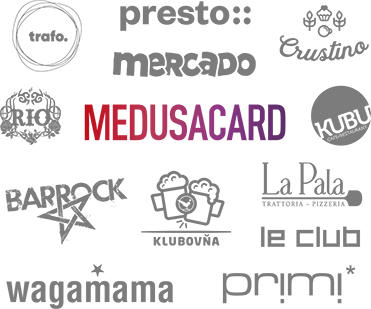 We are introducing MedusaCard, a unique loyalty system connecting 23 restaurants, bars and clubs in Slovakia, prepared especially for you, all our loyal customers. From now on, you will be rewarded for visiting our venues. Become a member of our club and enjoy unique benefits, new sales and limited offers, about which you will be preferentially informed.